For over 80 years metro has been the worlds leading manufacturer of storage and transport equipment in the health care, Food Service and Commercial markets. 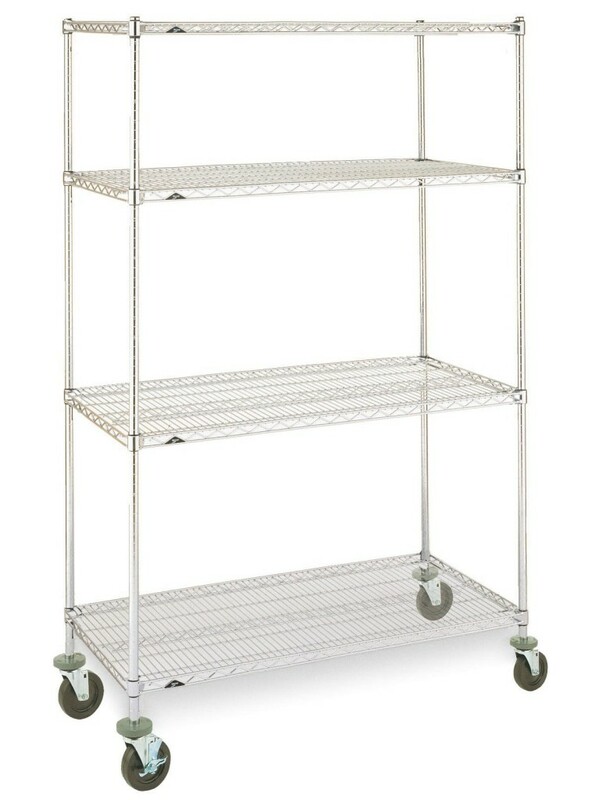 Stem Caster Carts combine Super Erecta shelf wire shelving features with the mobility of stem casters to provide a high quality, strong, and versatile material handling cart. Casters are available in swivel, rigid or brake types. All Metro Casters are non-marking and come complete with a 3.5 inch (89mm) donut bumper. Cart assembles in minutes without the use of any special tools. The Slanted Shelf Trucks and Carts are popular over-the-road as well as in house transport. Top and middle shelves on this specially designed unit slant 2″ (51mm) down from the front or the loading side, reducing the possibility of spills or upsets when transporting cylindrical or odd-shaped containers over rough or uneven surfaces. Bottom shelf is level. 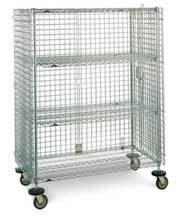 Standard Duty Model – consists of three shelf unit mounted on four 5″ (127mm) stem carts. Heavy Duty Model – Consists of three shelf unit mounted on aluminum dolly with wraparound bumper, two 6″ (152mm) Swivel casters and one set of brake lock swivel lock casters. 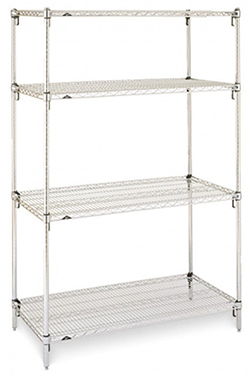 Are you looking for wire shelving, we deliver Locally, Los Angeles, Riverside, San Bernardino and all surrounding cities.